Hyundai i20 is the latest launch of Hyundai and an upgraded version of the i10. It is basically a five seater, five door hatchback car. Codenamed ‘PB’ it is here to replace the Getz worldwide, except in India where Getz will also be sold side by side. The Hyundai i20 aims at catering to the needs of B segment lovers. The standard features of the i20 puts it way ahead of its rivals. Basically, Hyundai i20 is a car with a 40:60 split, flat-folding rear back and a low lip for loading easily. It has a 295 litre boot. The i20’s front is designed with a low slung grille, its headlamps are large and the fog lamps cool and sporty. The car’s wind screen is steep raked and flows smoothly merging with the car’s tail section. The tailgate of Hyundai i20 is upright leading to more luggage space. High quality plastic has been used in i20’s interiors. Similar to the i10 , the i20’s seating is also very flexible. Built on a 2525 mm wheelbase Hyundai i20 is more spacious than the Getz. The i20’s interior has many nicely positioned storage spaces which includes two cup holders and a large passenger glovebox. 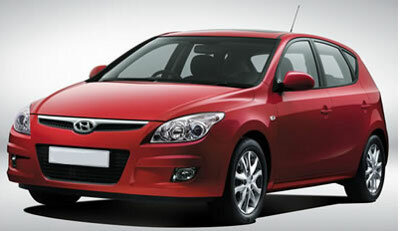 The Hyundai i20 is a luxurious and versatile car. Its styling is great and delivers a good driving experience. The i20 rides on a platform with front strut and rear torsion beam suspension which gives taut and alert ride quality. The car’s rack and pinion steering set has been tuned to give quick responses which will result in excellent agility. The i20 car is greatly protected by the use of high tensile steel in its robust chassis. Airbags are fitted at the front and side of the car with active headrests, front seatbelts and latest anti-lock brakes. The Hyundai i20 also has electronic stability control and Electronic Brakeforce Distribution for increased protection. The driving position of i20 is high and easily adjustable and this makes the visibility of the car excellent. The seats are quiet comfortable with easily accessible controls. The car has the new electric, power steering which is accurate and performs nicely at high speed. Hyundai i20 has launched 3 variants in India which are the i) i20 Magna ii) i20 Asta and iii) i20 Asta(O). The difference between Asta and Asta(O) is that the O variant has side and curtain airbags. Along with the other features a fully loaded Asta also have dash integrated 2 DIN music player with USB port, four speakers and two front tweeters. The rear and front head rest are adjustable. Also its rear view mirrors are electrically foldable and adjustable. The Hyundai i20 has been initially launched with 1197 cc petrol engine, with79 Bhp of maximum power and 110 N, torque. Later around March/April 2009 a CRD variant is being planned to launch. The i20’s engine gives minimum emission and is very economic too. The i20 has launched with 8 different shades which are- Sparkle Blue, Dark Gray, Berry Red, Black Diamond, Sleek Silver, Silky Beige, Electric and Crystal Red.